Superdry women's Tech Velocity SD-Windcheater jacket. 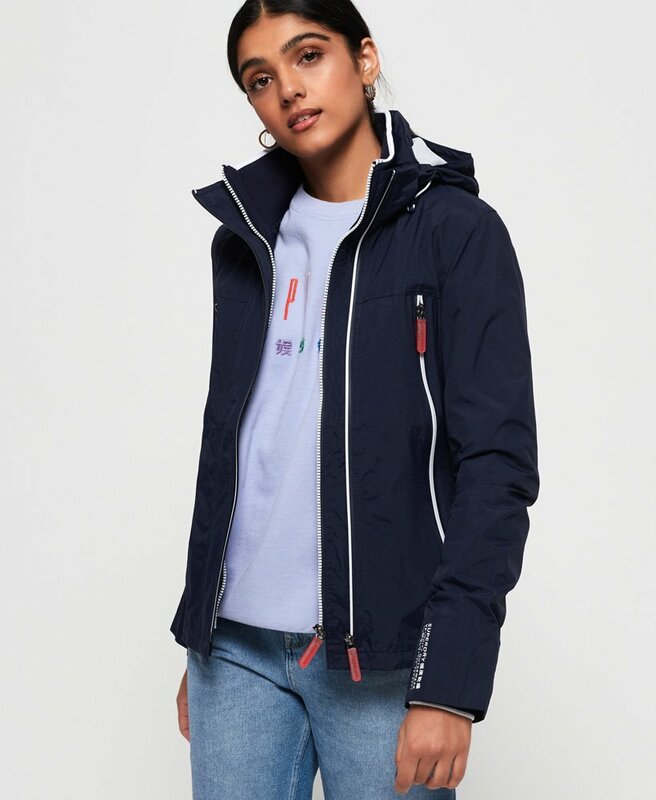 This jacket features a main double zip fastening, adjustable bungee cord hood and hem, four pockets with a zip fastening and one inside pocket with a popper fastening. This jacket also features a ribbed collar and cuffs with thumbholes. Finished with a rubber Superdry logo badge and a textured Superdry logo on one sleeve and on the back above the hem.